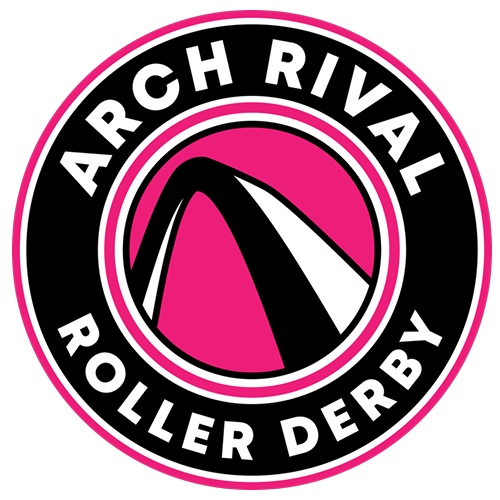 ARCH RIVAL ROLLER DERBY WINS! 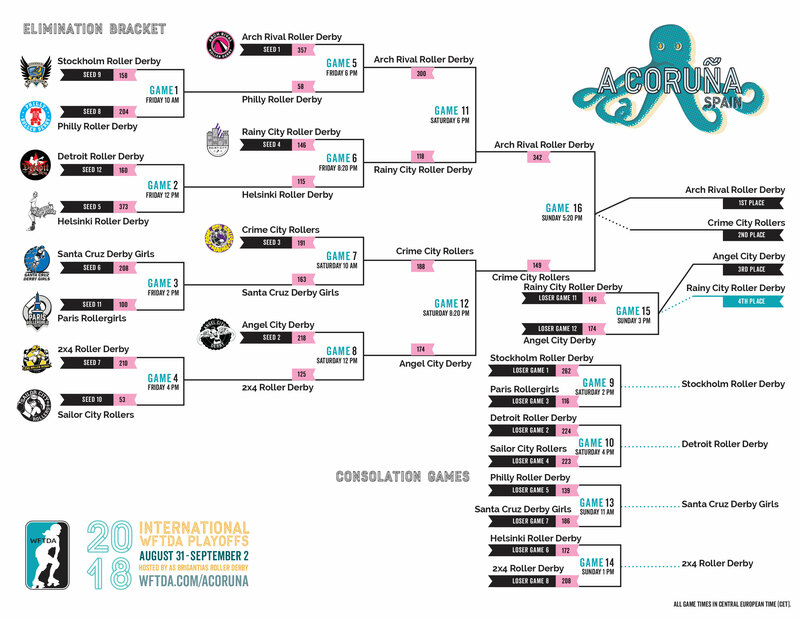 Arch Rival Roller Derby of St. Louis, Missouri, U.S. (Seed #1, WFTDA #5) won the 2018 International WFTDA Playoffs A Coruña, and will head to Championships in New Orleans in November. 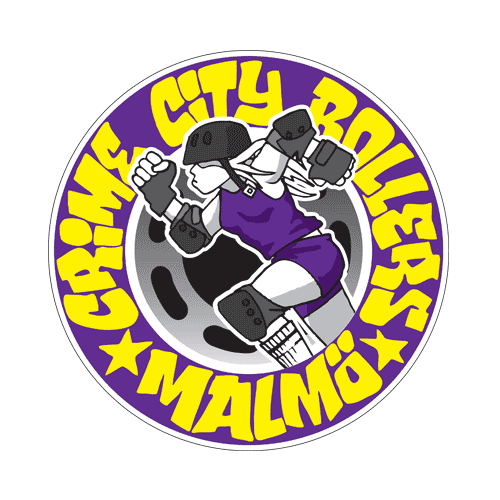 They will be joined by Second Place finishers, Crime City Rollers of Malmö, Sweden (Seed #3, WFTDA #10), and Third Place Angel City Derby of Los Angeles, California, U.S. (Seed #2, WFTDA #8). Arch Rival jammer, Bricktator, was named Tournament MVP. 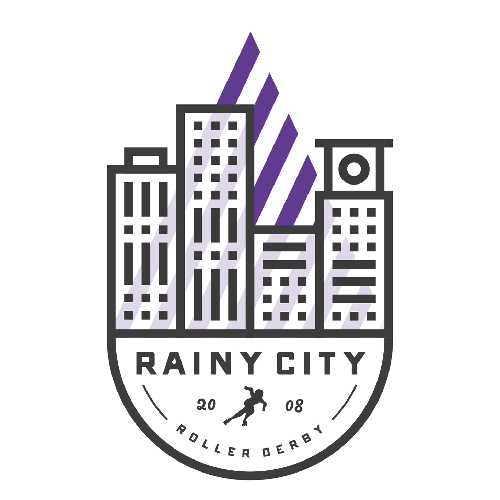 As Brigantias Roller Derby was born in the streets of A Coruña, a beautiful small city by the sea in northwestern Spain, in the autonomous community of Galicia. The region’s official language is Galicien, but Spanish is also spoken. As Brigantias actively work toward promoting women’s sports in A Coruña, motivating women to live a healthier life while practicing this amazing sport. Our main goal is to advance roller derby in Spain while fostering an environment of diversity, inclusion and respect among athletes. Since the beginning, teamwork, honesty and equality have been our league’s core values. We work to eradicate violence against women; to create an inclusive environment for transgender, intersex and gender expansive skaters and to empower our skaters to fulfill their athletic potential.